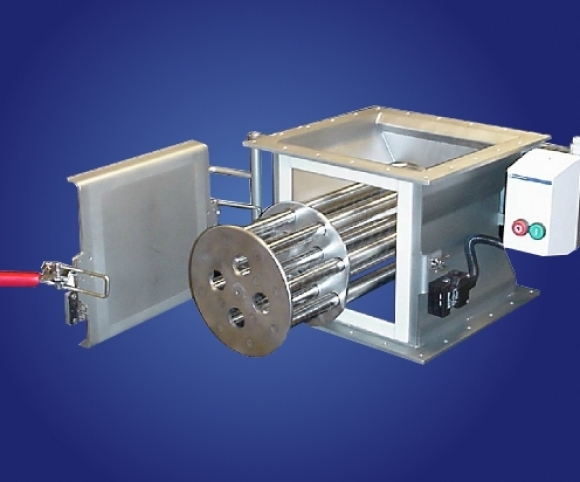 The rotating, quick-cleaning Cleanflow magnets consist of multiple magnetic bars mounted in a rotor. They all include extractor tubes as standard equipment, so the captured iron (Fe) does not have to be ‚wiped off‘ manually. 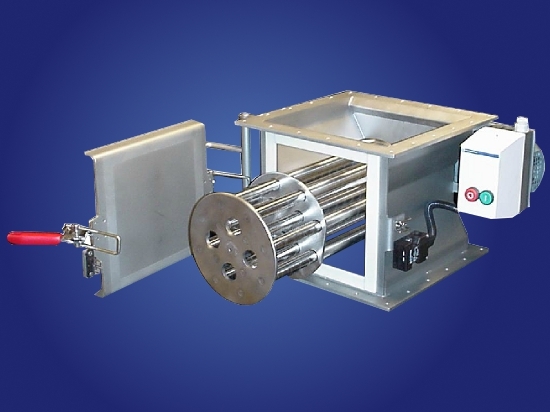 With this system the Fe particles fall into the extractor tubes when the magnets are retracted from inside them. Cleaning: Once the product flow is stopped, the entire magnet unit must be removed from the product chute. Then the magnetic bars can be pulled out of the extractor tubes, causing the Fe particles to fall off of the extractor tubes.